Businesses today test, monitor and manage all of their critical IT Systems — except the actual data they are consuming. LegiTest Server solves this problem by continuously validating your production data to ensure confidence in your results. Automated and continuous validation and monitoring of your production results. Browser-accessible dashboards to track historical results, giving you the ability to compare and manage today's test results against yesterday's, or anytime in the past. 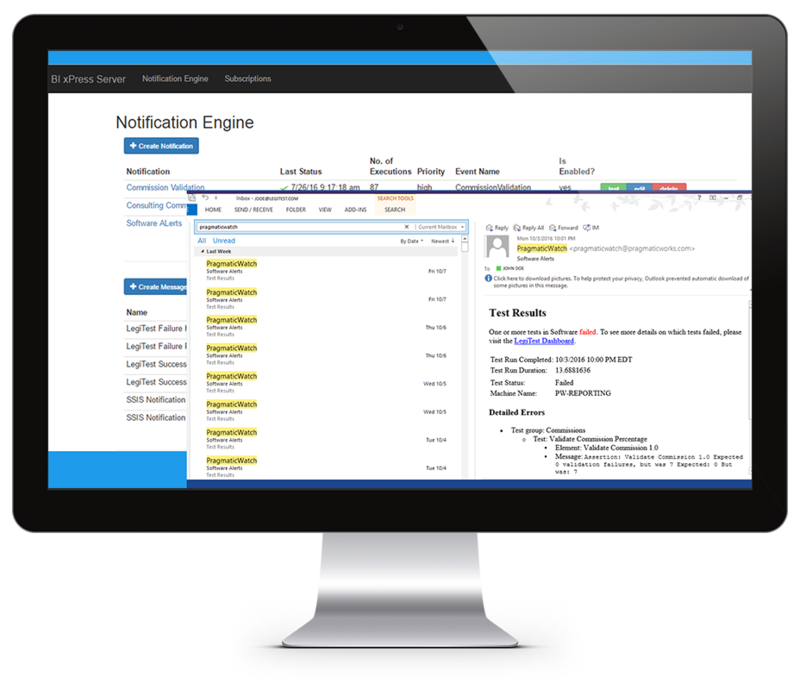 Notifications to help pinpoint daily failures, before they impact the business. LegiTest's annotations and tags to make organizing tests and understanding failures easier for the business user. 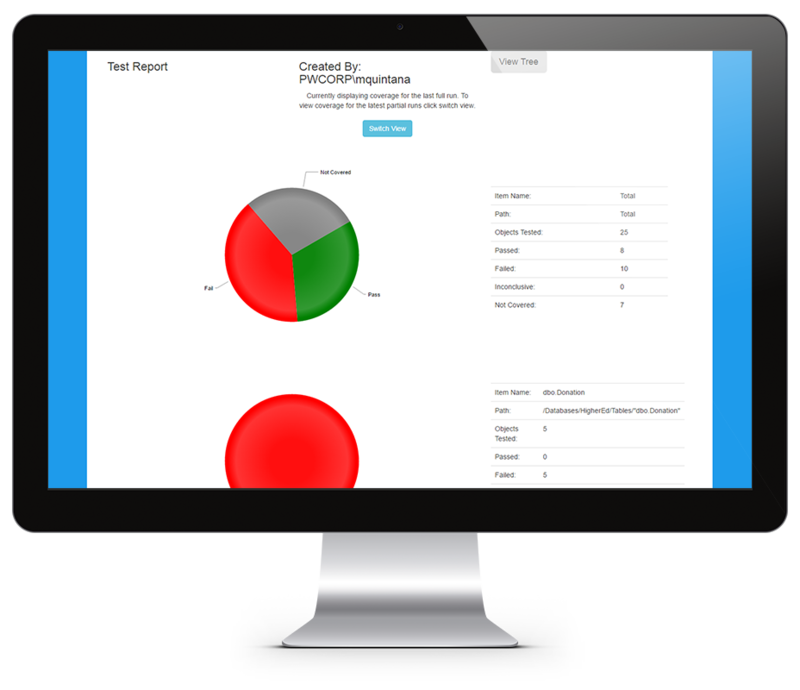 View all of your LegiTest data testing results in one easy place. The LegiTest dashboard is where you can glance at the overall results for your tests, or dive deeper into the details by drilling into specific test summary pages. Simply clicking on a failed test from the Summary Page will take you directly to the details of the failed assert. Tag test items to filter your dashboard for a customized view based on your needs or indicate what appears in System Coverage. LegiTest Server is a web application that makes it easy to share test and data validation results with others in your organization. Export your result grids to view and manipulate in Microsoft Excel. 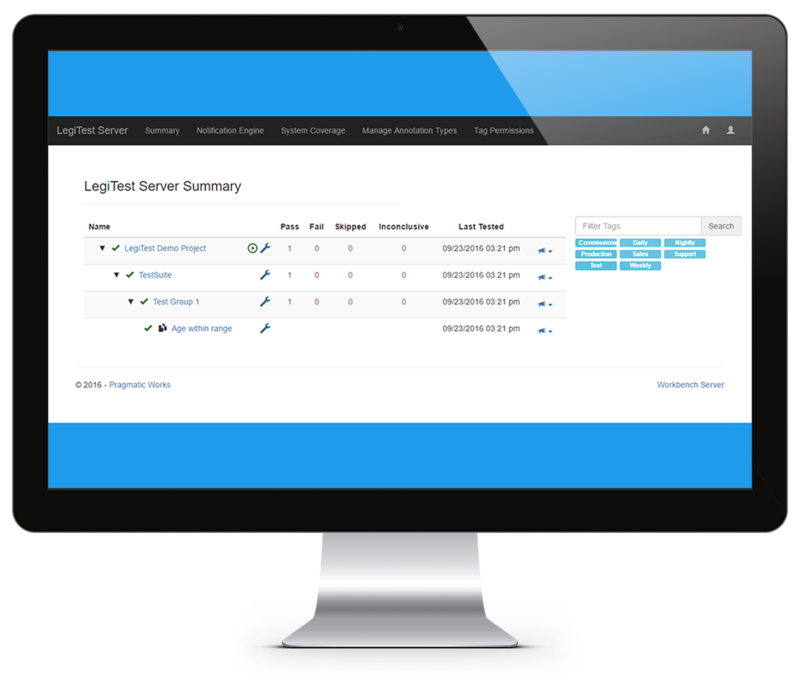 LegiTest Server’s role-based security allows you to manage access to actions based on roles assigned to users. Access to tests can also be managed based on roles and tags to ensure the right users are seeing the right tests. Leveraging this, your team can react quickly and inform the appropriate people to remediate failures before they impact your business or your customers. LegiTest’s email notifications include grids from comparisons and validations so that data mismatches or validations show the data in questions in the body of the email (HTML only). Our System Coverage feature allows you to look at your systems and see which aspects are being validated by your tests. It ensures that your policies are being implemented properly and integrates with DOC xPress Server to determine what is available to test.